G.P. Putnam's Sons, 9780425280744, 400pp. 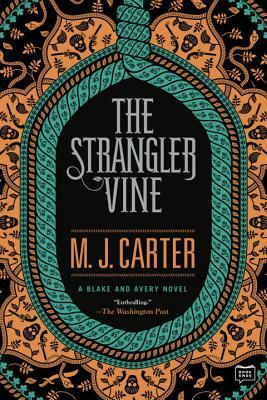 M.J. Carter is the author of the Blake and Avery novels, including The Devil's Feast, The Infidel Stain, and The Strangler Vine. A former journalist, she is also the author of two acclaimed works of nonfiction, Anthony Blunt: His Lives and George, Nicholas and Wilhelm: Three Royal Cousins and the Road to World War I. She is married with two sons and lives in London.